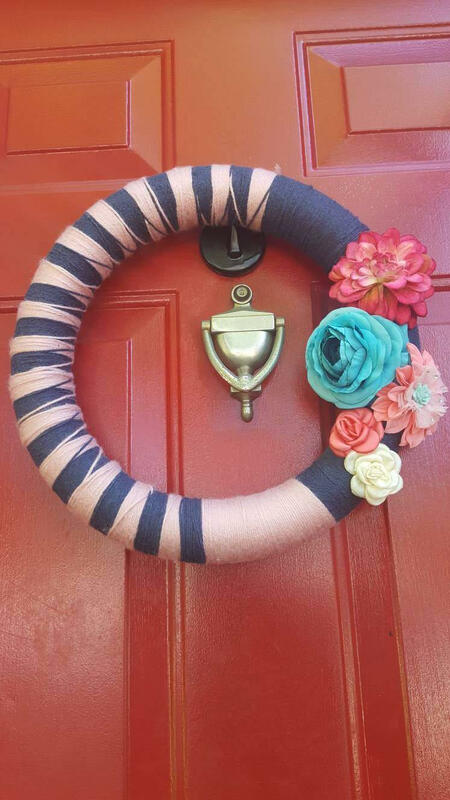 This beautiful​ wreath of denim and rose is 14" around. Wrapped with care in yarn and adorned with the most gorgeous flowers. 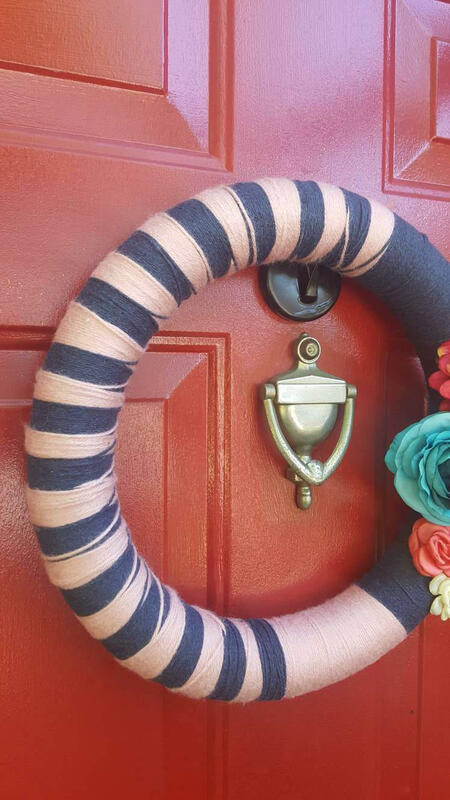 This wreath can be admired indoors. 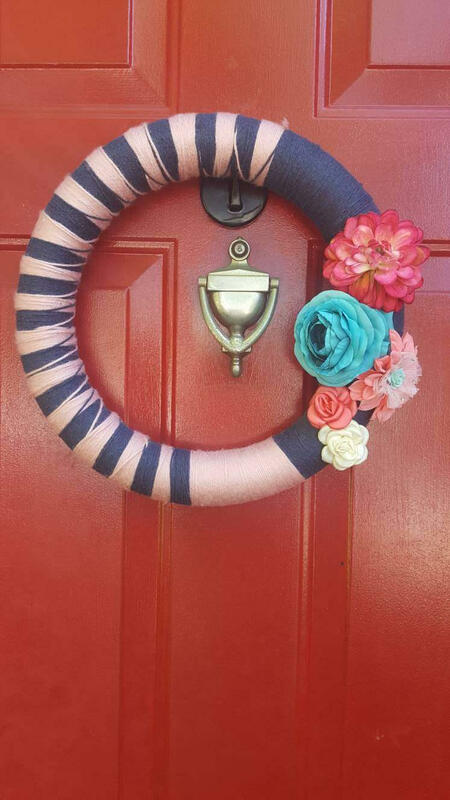 If you want to share this beauty with the neighbors, please place this behind a storm door. 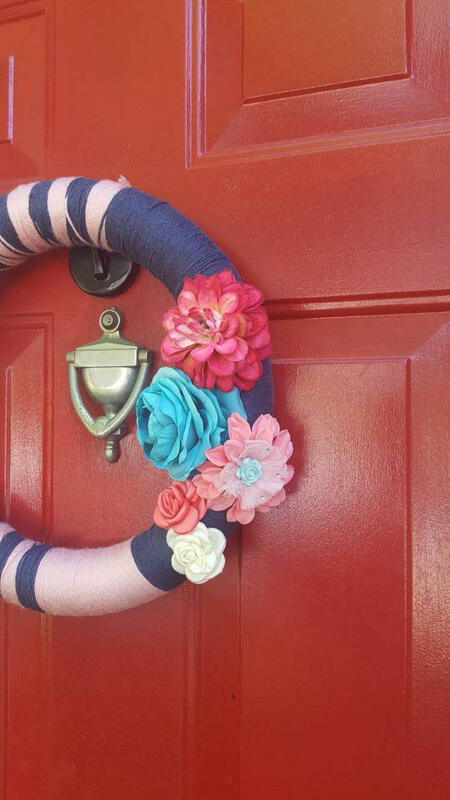 The price and shipping time is for this wreath only. Pleasect contact me if you'd like different colors/flowers. 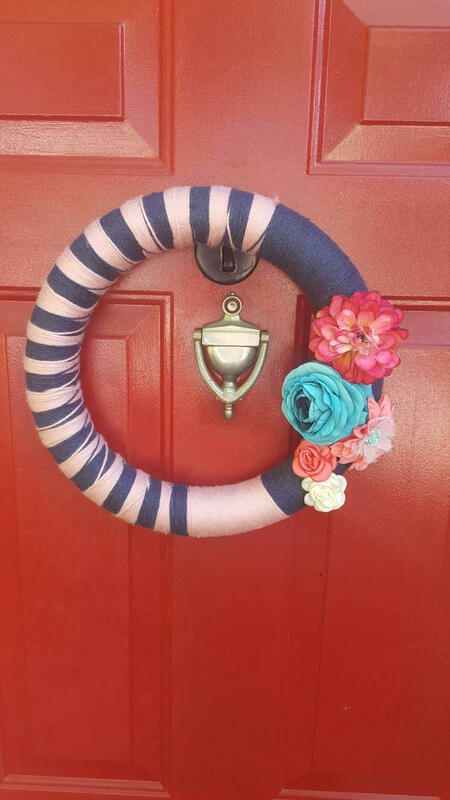 Made to order wreaths have a longer shipping time and may differ in cost depending on need of the customer.